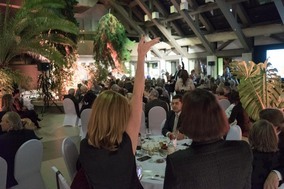 Annual fundraising gala for the MacKenzie Art Gallery, in Regina. For one night only the MacKenzie Art Gallery will be transformed for an exclusive experience of gourmet canapes, fine wine, live entertainment and spectacular art. Works by many of Saskatchewan's finest artists will be on auction, with proceeds going toward funding the MacKenzie's programs for youth and families. Friday, October 12th, starting at 7:00 pm. At the MacKenzie Art Gallery, 3475 Albert Street, Regina. Tickets are $110 ($100 for members).